Provides easy access to the important stuff of everyday living! Self-healing natural cork holds notes, lists, reminders of all sorts. 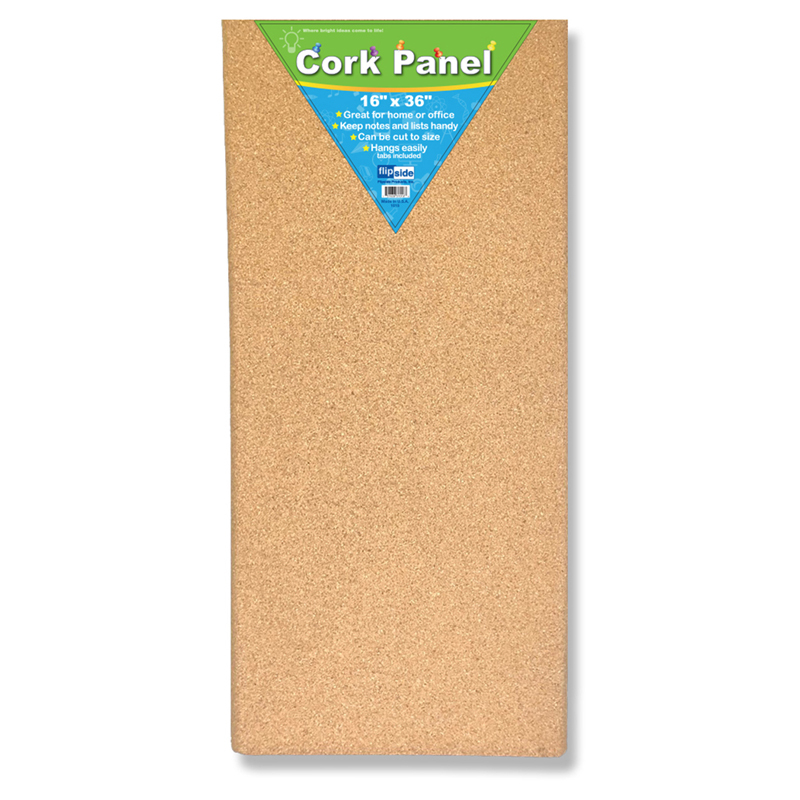 Natural cork lends a sophisticated look to your message space. Cork wraps the long edges which are rounded to add style. Can be cut to size. Hangs easily with adhesive tabs included. Board measures 16" x 36" x 0.5"